Arch Linux is an independently developed, i686/x86-64 general purpose GNU/Linux distribution versatile enough to suit any role. Development focuses on simplicity, minimalism, and code elegance. Arch is installed as a minimal base system, configured by the user upon which their own ideal environment is assembled by installing only what is required or desired for their unique purposes. GUI configuration utilities are not officially provided, and most system configuration is performed from the shell and a text editor. Based on a rolling-release model, Arch strives to stay bleeding edge, and typically offers the latest stable versions of most software. Following The Arch Way philosophy, Arch Linux is lightweight, flexible, simple and aims to be very UNIX-like. A minimal environment (no GUI) compiled for i686/x86-64 architectures is provided upon installation: rather than tearing out unneeded and unwanted packages, the user is offered the ability to build up from a minimal foundation without any preemptively-chosen defaults. Arch's design philosophy and implementation make it easy to extend and mold into whatever kind of system is required, from a minimalist console machine to the most grandiose and feature-rich desktop environments available: it is the user who decides what his Arch system will be. Arch Linux strives to maintain the latest stable release versions of its software as long as systemic package breakage can be reasonably avoided. It is based on a rolling-release system, which allows a one-time installation with continuous upgrades, without ever having to reinstall and without having to perform the elaborate procedures involved in system upgrades from one release version to the next. By issuing one command, an Arch system is kept up-to-date and on the bleeding edge. Arch incorporates many of the newer features available to GNU/Linux users, including the systemd init system, modern filesystems (Ext2/3/4, Reiser, XFS, JFS, BTRFS), LVM2/EVMS, software RAID, udev support and initcpio (with mkinitcpio), as well as the latest available kernels. Arch Linux is a versatile and simple distribution designed to fit the needs of the competent Linux user. 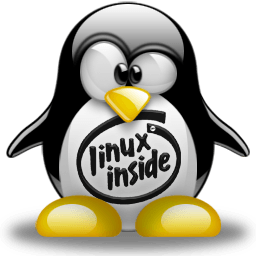 It is both powerful and easy to manage, making it an ideal distro for servers and workstations. Take it in any direction you like: if you share this vision of what a GNU/Linux distribution should be, then you are welcomed and encouraged to use it freely, get involved, and contribute to the community. If you are interested in giving Arch Linux a try on your current computer without running any risk, please check out our Guide: Running Linux From a USB Drive As a Virtual Machine or Bootable Disk. Tails is a live operating system, that you can start on almost any computer from a DVD, USB stick, or SD card. It aims at preserving your privacy and anonymity on any computer. Debian is a free operating system (OS) for your computer. This version is known as "Wheezy". Fast, free and incredibly easy to use, the Ubuntu operating system powers millions of desktop PCs, laptops and servers around the world.